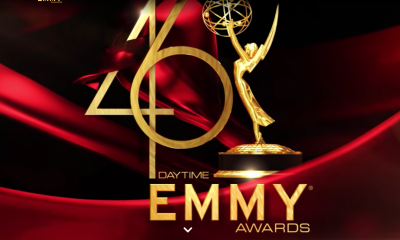 It has been over eleven years since Daytime Emmy winner, Jacob Young, has appeared on his original daytime stomping grounds, The Bold and the Beautiful. 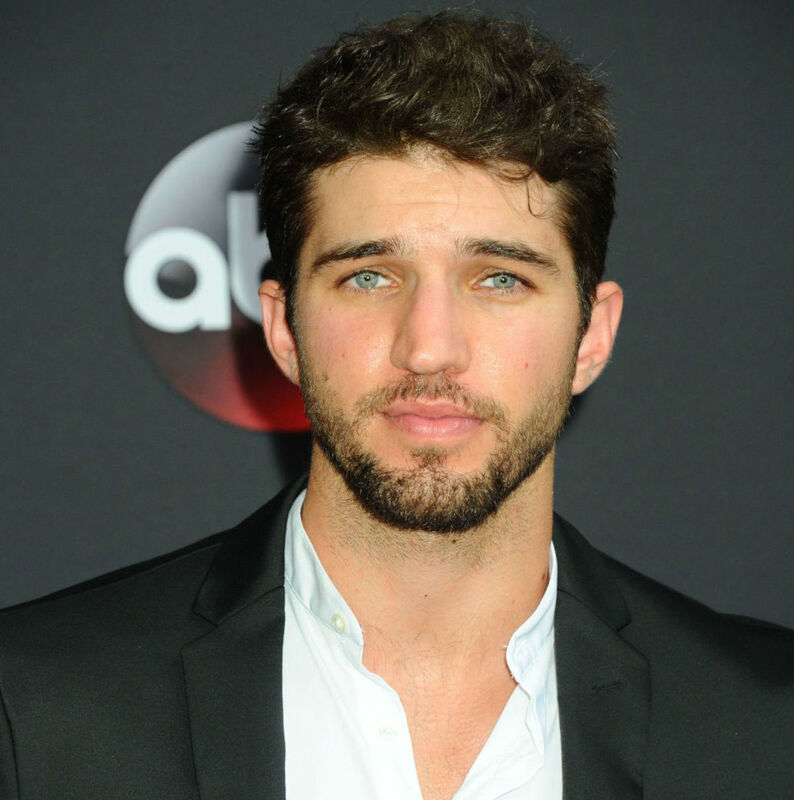 Now, one of soaps favorite “bad boys”, (as the former JR Chandler of AMC), comes home to reprise the role of Rick Forrester! After all, who doesn’t remember all the twists and turns of the Rick and Amber relationship back in the day? 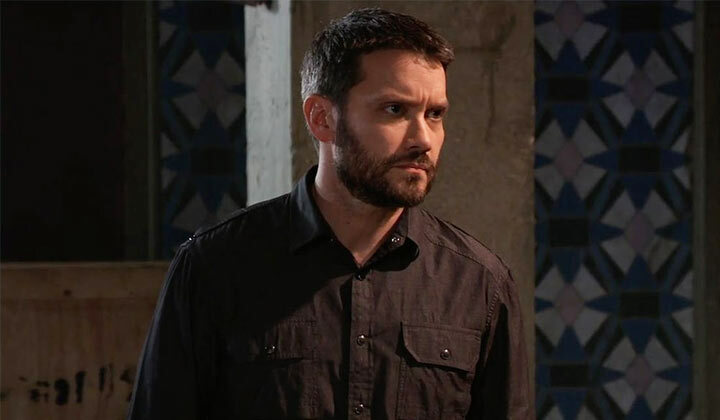 In this new interview with On-Air On-Soaps, Jacob reveals “not so fast” about going back to revisit history, and that Rick has a lot to prove this time out! Now as many longtime daytime fans know, Jacob just completed an amazing eight year as JR Chandler on All My Children. AMC had its network television conclusion on ABC last month on September 23rd. Shortly before that time, Jacob and B&B had announced that he struck a deal to come over to the international hit, and thus would not be continuing with AMC when it moves to the Internet in the early part of 2012 in its new home, The Online Network. 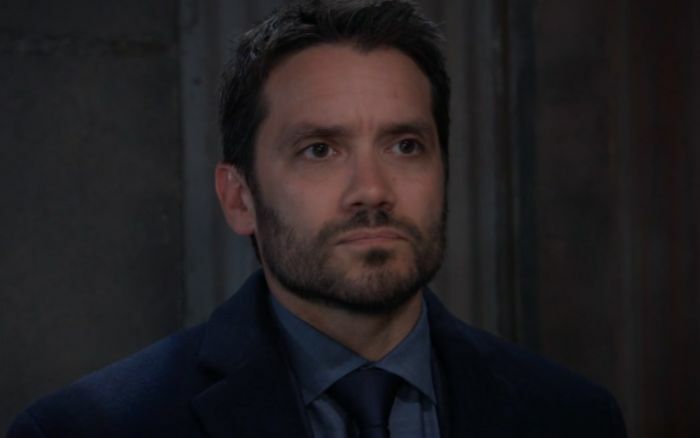 Jacob fills us in on his difficult decision to leave Pine Valley, his thoughts on the controversial network TV finale which saw JR aiming a gun at the citizens of Pine Valley, and how he is ready to turn the page on life as a Chandler, and embrace life again as a key member of the Forrester clan. 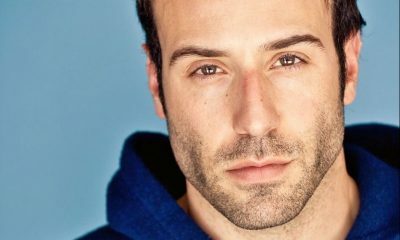 We have always found Jacob to be one of the most endearing, honest, and refreshing actors to speak with in the genre. 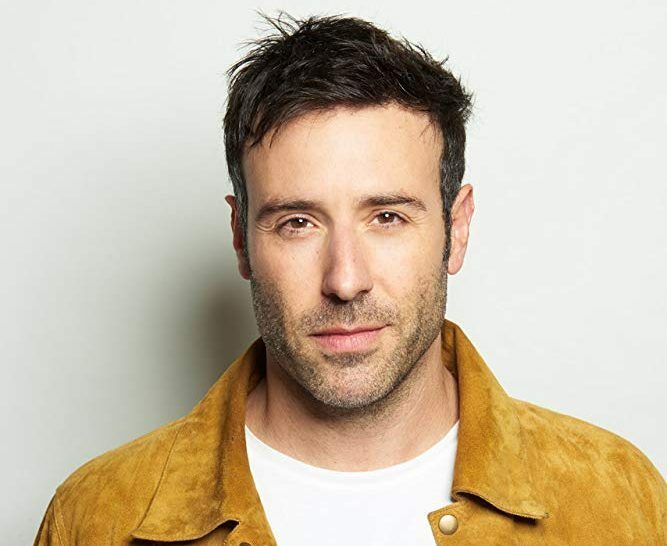 And so, On-Air On-Soaps is thrilled to bring this one-on-one chat with Jacob to you, as we welcome the original Rick home! Jacob, you decided to come back to The Bold and the Beautiful instead of staying with All My Children with its move online. Why the decision to make such a BOLD move? The issue with leaving AMC was about the uncertainty. Is there going to be a future? How serious are they about the online venture? How is it going to work? And I had just recently heard a rumor that they are actually moving all the sets out of the studio. Now I know with One Life to Live their team is signed and their people are pretty much ready and gung-ho. But I knew there was going to be a little resistance with AMC. Maybe it was a bit of foreshadowing, but with The Bold and the Beautiful it was my first job. So there is this sort of romanticism about my first break into Hollywood. I remember interviewing you back in 1997-1998, when you were first at B&B. It seems so long ago, but look at where things are now! The old adage proves true, “Never say never”! It has gone full circle. I am lucky to be one of the actors in a diminishing market to have some place to go, especially now with the way the economy, and jobs, and the uncertainty of our future, and the new great depression upon us. So, it’s nice to just be able to have a job and be a wanted. Did you talk with Brad Bell, the executive producer and head writer of B&B, about story before you decided to sign on the dotted line? 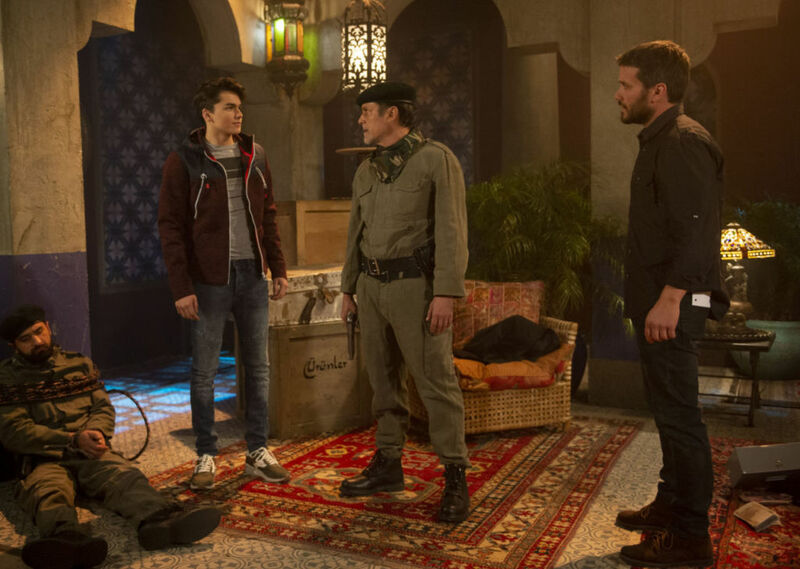 B&B has proven tricky sometimes when big name actors come to the show, because of the focus on main characters and that the show is only a half-hour long … so you can only pack so much story in that amount of time. Seems like an excellent plan, so Rick is not shoved down the audiences throat! Right. I have totally taken a different approach on this. The writers have caught on, or are just on the same page with me. Rick is going to stand up for what he believes in, but his approach is a little more tactful. He wants a fresh start. Now, obviously all those old rivalries will pick up and probably blow up in his face, but at least Rick is making efforts to try and mend relationships with the damage he did in the past. (Laughs) I am sure there will be a time when I go straight for the throat. I know there will be that dichotomy with Thomas, because he is fighting for his position in the family. Rick is still a little older than him and wants to make sure he settles down a bit. And then John McCook (Eric) plays your dad! That must have been very cool for you to come back and get the opportunity to work with him again. Well, I really bond with John on an almost a real father/son level. We always had that relationship even back in the days. He is the guy that takes everyone under his wing and makes everyone feel comfortable. If we could all aspire to be that kind of person and say, “hello” and embrace and hold and be friendly, I think the world would be a better place. Rick finds out that his former flame, Amber, and Marcus had a child immediately upon arriving back on the scene! Yes, that was right off the bat at the beginning of my return. Rick found that out, and he says to Marcus, “So, you and Amber are an item?” And Marcus tells him they are absolutely not together. And then there is some small talk and that opened up a little story arc that is happening with that. This was one of the things Brad and I talked about. Do you think Rick would really forgive Amber for all she has done to him in the past? I think he can forgive, but you never forget, and that I think is going to be the barrier. Amber is very supportive of Rick taking an active interest in the family. 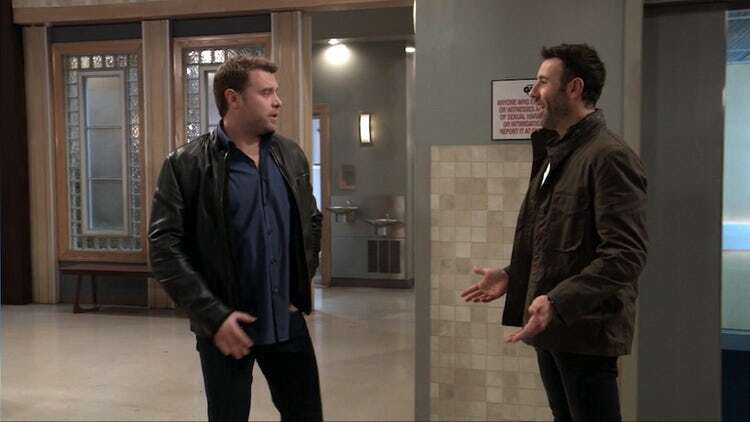 In addition, Rick came back to town and instantly wanted to help Hope with her relationship mess with Liam. So if there is an open playing field for Rick Forrester, in terms of a romantic interest, who would you like to see him paired with on the canvas? There are very few women on this show that are in my age range. Brad and I were talking a little bit about that. Maybe down the line we will recruit in someone new. Yes! Maybe there was a woman from Rick’s past while he was away in Paris whom they need to bring in. John McCook said maybe there was someone he met down in shipping and maybe she is someone who is European. That would make for an interesting storyline. We will see how the cards fall. Right now, he is really just trying to figure out if he wants to stay in town, or go back to work for the International Side of Forrester Creations. Now Rick is going to get involved with Thorne and Taylor as they maneuver their takeover of Forrester Creations! Yeah, it is sort of everyone coming together going, “OK. We have really got to make a run at this, because we are falling short as far as the fashion is concerned. We have got to put our heads together and rise above.” I think Rick’s intention is to work with Thorne and Taylor. Now it may be to stick it to the other Forresters, but I think it’s mainly about the competition and putting the brand back out there. Rick wants to be the guy to help bring that together. (Laughs) He was running the international team from a business perspective, because Rick is not a designer, although they recently have hinted that maybe he is designing a little bit. And, I can’t draw and neither can Rick, apparently! (Laughs) I would say, Rick takes an active role internationally in sales and business, and works on some creative ideas. 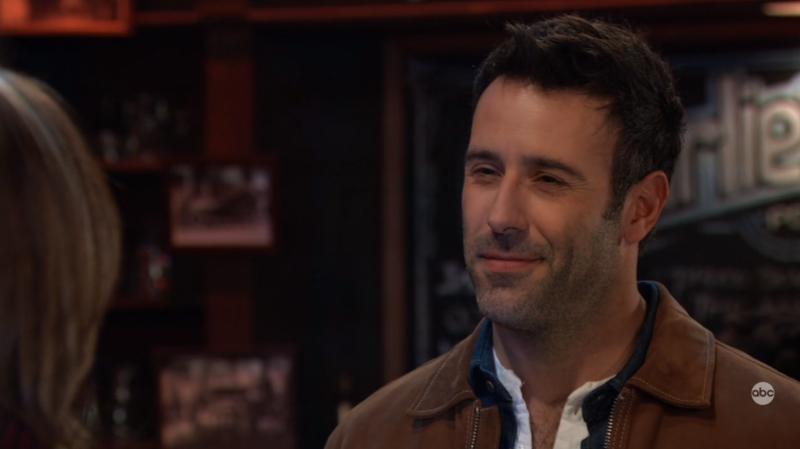 I think he agrees with Thorne and Taylor right now; that there has to be change and has to be a movement that happens that puts Forrester back on the map! Will we see Ridge and Rick at odds again? Remember; while you were away from B&B there was that “balcony” drama story point. Yes. absolutely. There is always this “tread lightly” kind of attitude between him and Ridge, because you know at any minute they could blow up at each other. Rick is trying to resolve that stuff and come in with a fresh slate. OK, but would you say the fans should trust that? No. Absolutely not! (Laughs) There is definitely a storm brewing. Let’s talk about the controversial ending of All My Children and the finale episode, which has been all the buzz for the last several weeks. There you were in the closet with a gun in the final episode. And the talk is, “Did JR shoot himself? Or did he shoot somebody?” What did you think about how it ended? I will tell you this, the way they had written it was not the way they had edited it. It was definitely changed in the editing and I can tell you now. Originally, JR was supposed to unload a bunch of rounds of fire. He was basically going to take out everybody he was at odds with. And then, I got a change in the script like a day before the taping, saying that there is just going to be one shot fired. So then they taped the show with my gun out as if I was shooting somebody, and there was a billow of smoke and the whole thing. So it was definitely not JR that got shot. But now with this, they could change it that JR did kill himself, especially with editing. And actually, it was one of my ideas to begin with, where I said to them, maybe we should leave it to where maybe he killed himself. What many are speculating is, since AMC already knew you had signed at B&B before the final episode was taped, that perhaps they changed the original scripted ending because they knew you were not continuing on with the online. I was already in talks with B&B, but they did not know that. 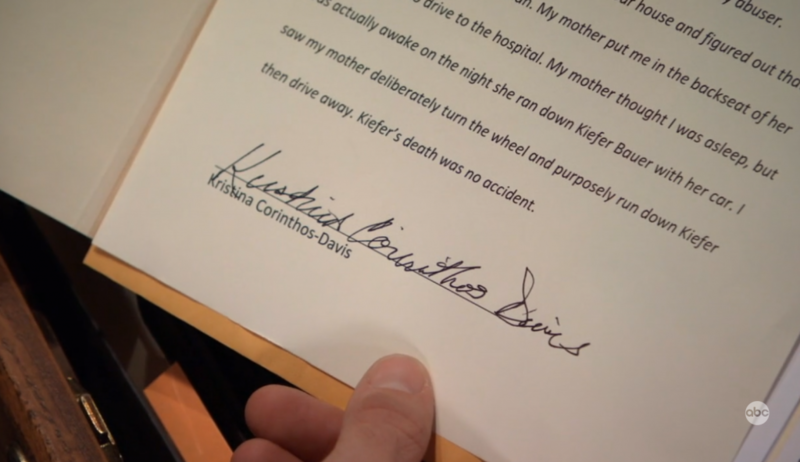 I don’t know how much that has to do with the decision of the ending, because they had written that before all of this happened. But keep in mind; JR still had that plane ready to fly out of town. Originally, ABC had been planning a two-hour finale for AMC, before it was going to continue online with Prospect Park. Did they shoot a second hour of the finale that is in the can, that would further explain what happened if that were to be put up online as the premiere episode? No, unfortunately not. Now they could re-edit from that point of what we shot, where JR makes a run for it. I was not satisfied myself. I just think the ending was not clear enough. The gunshot sounded muffled and I felt like it should have rang out, but maybe if it was a close-range shot to himself… who knows? The Prospect Park team did come to me and make me an offer, and it was not the offer that I wanted. So I passed softly. But I just don’t see how the show will be the same if not everybody agrees. I know everybody is still emailing each other, and we have an email chain where we talk about the negotiations. So I have some insight on those things. …We had so many days cut back, and instead the network would air historical episodes. It was just not a good year for All My Children. We were hoping there would be enough momentum to carry us through another few years, but ABC pulled the plug. So absolutely, there is a lot to think about. Because you have to understand from the actor’s perspective if that could happen there, it could happen again with a new team as well. There is also consideration of where is all their funding coming from? How much are they going to be able to raise? How long will they keep it afloat? But, I can tell you personally for me and my career, to come to B&B was the right move. Regardless of the terms of how I left B&B years ago, Brad and I have a great relationship. He is one of those kinds of guys that I can just talk to about anything, and its vice-versa. With other executive producers, that is your boss, and you need to tiptoe a little bit. But with Brad, I can talk to him on a one-to-one level. So he is excited about it, and I am excited about it. So, did you come in with a laundry list of storylines for Brad Bell to consider? No, I really didn’t. I knew he was going to get cracking on it and wherever it’s going to land, it’s going to land. Then, it’s really up to me now to put the emphasis on particular scenes to help control things a little bit. And, that was always my intention with JR … which was to make him emulate and become more like his father, Adam Chandler, every day. And so by manifesting and bringing it into the story, the writers had nowhere else but to go there. 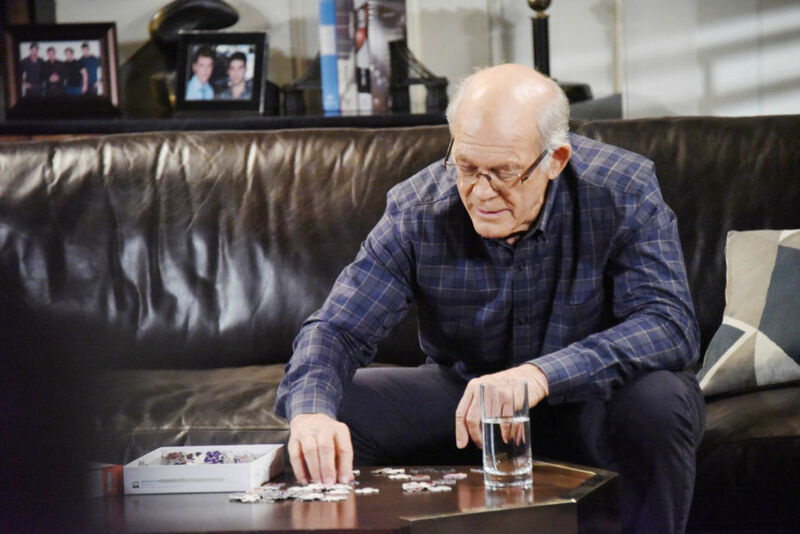 But it was the best thing for JR.
Five-time Daytime Emmy winner, David Canary (Adam/Stuart Chandler) came back for the final week of All My Children. He was so riveting to watch, and every time he is on-screen he commands it! It must have been such a nice button on the AMC experience to have some final scenes with him. What did your castmates say to you when you decided to leave AMC and come to B&B? I know AMC creator, Agnes Nixon had some very choice, but humorous words for you on that. They were all excited for me and they said it was the right move. They were happy that I was going to an internationally successful show. Michael Knight (Tad, AMC) called me right as the story broke. He said to me, “Jacob, are you going over to B&B?” And I go, “Yeah, and it’s hard for me to let people know.” And he said, “I am so happy for you. It is the right move for you.” So that felt good coming from my peers that they had the same sentiments. In a way, there had to be some emotion tied to your decision to leave AMC. I am sure there were moments of it being a “hard call”. What will you miss most about playing JR? A lot of people feel without the Chandlers what is All My Children? So I was tossing around new title ideas, “All My New Children.” (Laughs) Some of the things I will miss most about playing JR is what came out of his mouth, and even making him a homophobe at the end! (Laughs) I would read the scripts shocked, but also at the same time, this is who he is. I will miss his spontaneity and getting a bit vulgar. I mean, there was no edit button on him. As far as his drinking at the end, that storyline seems a bit recycled. I wish he would have recovered a bit from that and been a responsible drinker. 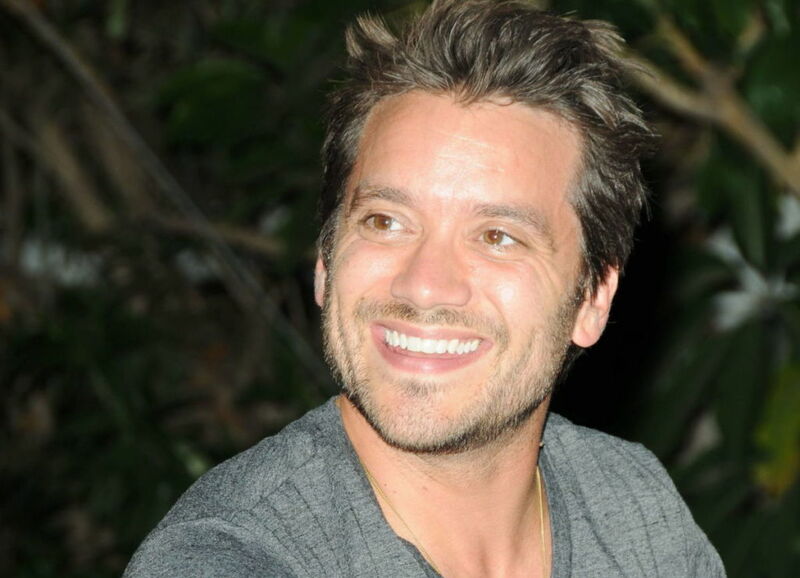 So are you good with putting JR to rest and moving foraward to play Rick on B&B? The only thing I was upset about was the ending of AMC and how cryptic it was. I wish there was more of a through line on that. But, I do feel like a page has turned and not to be cliché, but it has. It is behind me now. It is weird for me to be back at B&B in the sense that it has been so long, and so much has happened in between. For myself, it is about the uncertainty within my abilities to rejuvenate Rick and bring it back. But at the same time, it is challenge and I love challenges. I have different days where I feel gung-ho and other days where I feel, “I hope this is the right place.” But this is natural, and with anytime in life that you make a change, there is that transition period. They say: uncertainty is what normally brings about the right decision. You are scheduled to meet the fans at the end of October on the east coast in the personal appearance series, A Tribute to Pine Valley. How were you able to get time off to do that while you are taping another soap? What are you going to say to people when they come up to you at the fan events and tell you how much they miss JR, and you have some very emotionally-charged moments with them? Are you going to tell them to check you out on B&B? Well, that is the thing. I told production I had this previous commitment. I said, “Here’s the deal. I think it’s important number one for AMC, because it’s only a core group of actors who are doing it. And secondly, if people don’t watch CBS and want to know what I am doing, I can absolutely plug in B&B. I can also tell them that B&B is only thirty minutes, and to help them make the transition to decide to watch it. It is hard to do, but I am always proud of the decisions I make, and hopefully the fans will feel that as well. And I think if they truly care about Jacob Young and are interested in following my next career move, they will do that. Some of the soap fans network hop anyway. It was interesting. I was at a Bold and Beautiful autograph signing, and I had not even aired yet on the series. A lot of fans I saw there were the fans I see at a lot of All My Children fan events. So I think fans will move around a little bit. In closing, what do you want say to your fans, and fans of B&B, that they should be on the lookout for from your revitalized Rick Forrester? He is going to surprise you. He is going to bring back the core of what Rick is about and stood for back when we first knew him, but with an edge, and without being a complete jerk. He is going to be fighting for his position in the family again. He has learned a lot while he has been away working for the international side, and he is ready to put his stamp on the company. I always say there is a big main difference between JR on All My Children and Rick on B&B. Rick has nothing to prove, he came from a loving family that cared about him, and he could always talk to them, whereas JR had nobody and especially at the end! It’s going to be a very exciting time for me and the viewers over at The Bold and the Beautiful that is for sure. 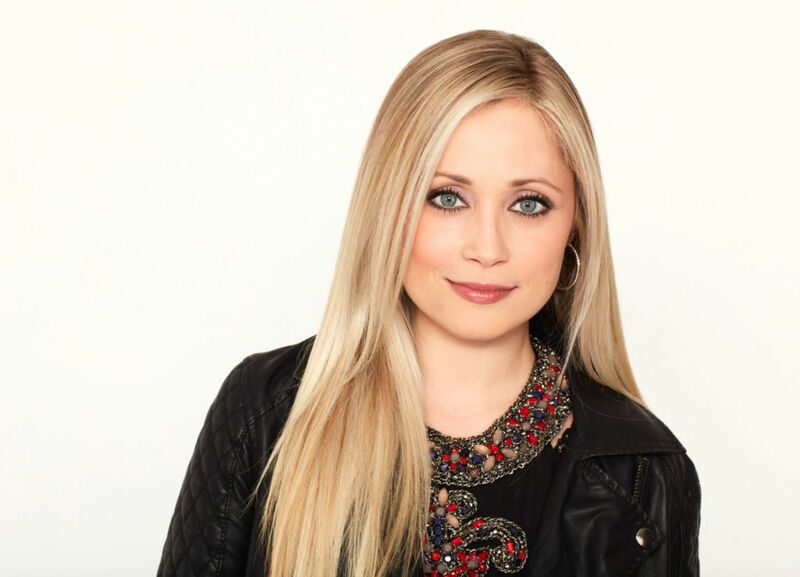 Princess Theodora of Greece & Denmark to appear on The Bold and the Beautiful! 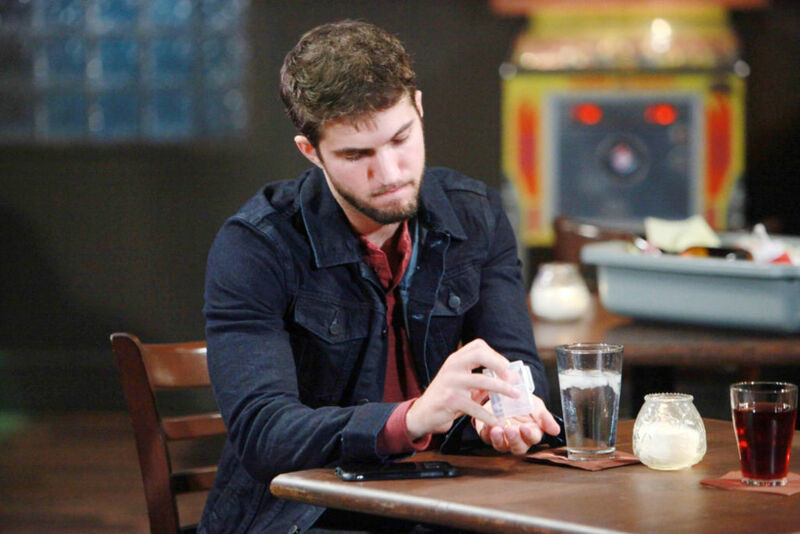 DIRTY SOAP Tonight's New Episode – Watch the Preview Video! This is great! I appreciate his candor. I think he made the right decision going back to B&B. We’re with you Jacob! can’t wait to see the original new Rick in more action. Jacob Young is the one and only Rick Forrester. So glad to see him back. I hope we will see less Liam and the youngsters and more about Eric, Stephanie and Rick. this was fabulous. Thank you, Michael, for taking the time to interview Jacob. I always love his interviews, and I’m enjoying him as Rick. 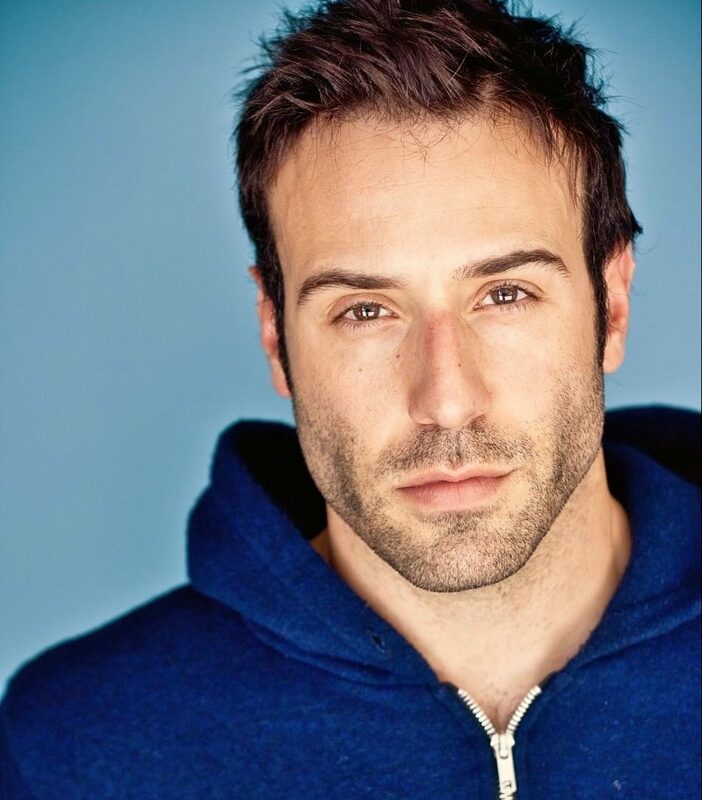 I admire Jacob’s honesty and insightfulness and I look forward to seeing more of Rick in action on B&B. jacob’s comments on AMC’s ending are very interesting. I wonder if he’s still working on the documentary that he was shooting about AMC’s last days? 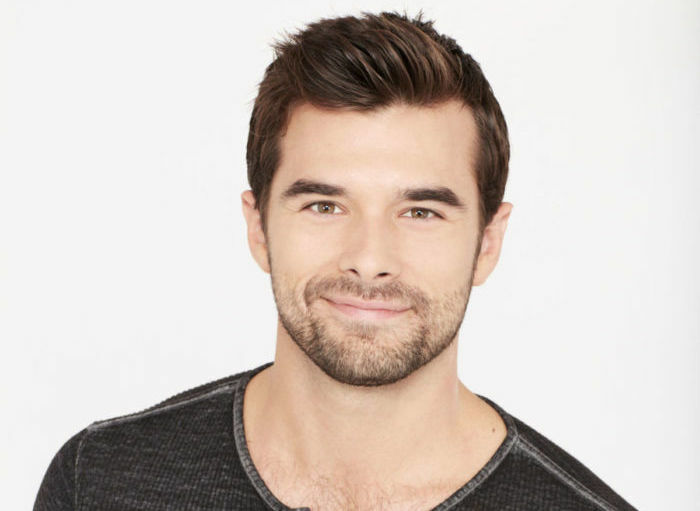 I’m sure Jacob made the right decision for himself in returning to B&B. My only question is “WHY THE RESISTANCE WITH AMC?” Millions are waiting for AMC to start up in January and now there is a rumor that it won’t? Even PP can’t stick to their word! Is AMC a go with PP or not? Jacob seems to be hinting that it is not. in what part of this interview did jacob seem to be hinting that amc is not a go with prospect park?? are you referring to the section where he talked about where pp will be getting their funding & the amount of the funding?? Very first question. Why did Jacob decide to go back to B&B rather than stay with AMC. He made a few statements to make me think and everyone is already wondering what’s going on with PP. Two of the cast has resigned. Haven’t heard anything lately. Only dead silence! Does anyone know about Young just signing a short contract with B&B and then going back over to PP for AMC? 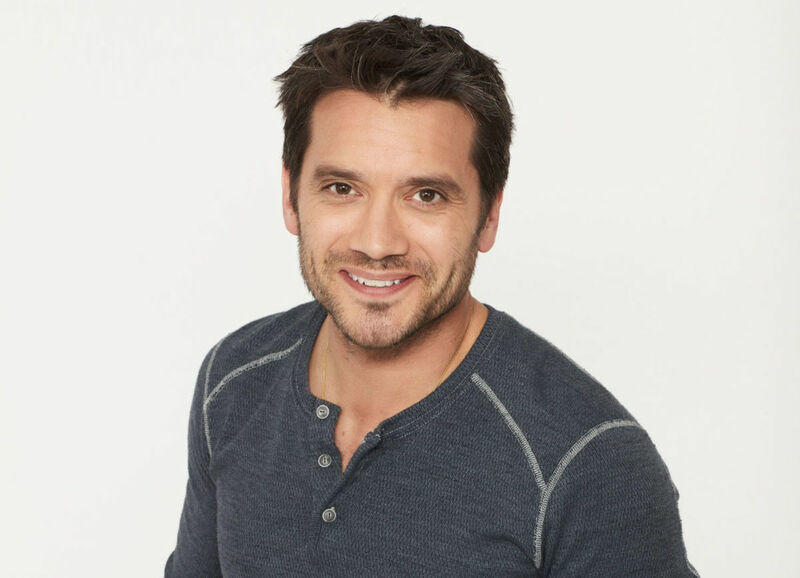 I fell in love with Jacob as Lucky on GH, and really loved him as JR on AMC, I am so excited to have him back on B&B, since I missed him the first time as Rick, he is doing a great job back there, and made the right decision not to wait for AMC on the internet.